Maintaining your carpet does more than just keep up its appearance - it make a significant difference in how long your carpet will last. Proper carpet care helps protect your flooring investment. Here are our best three carpet care tips. 1. Vacuum properly. Use the crevice attachment and vacuum the edges of your room before you vacuum the rest of the carpet. 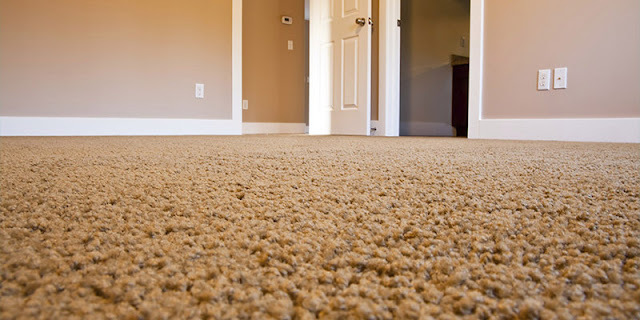 Vacuum both vertically and horizontally to adequately move the carpet fibers and get between them. 2. Keep clean, white towels readily available for spills. Spills are unavoidable and the way you handle them will make a big impact on your carpet. Your best weapon? A clean, absorbent towel to soak up the spill before it has a chance to soak into your carpet. Blot the spill - don't rub - and continue blotting until you've absorbed as much as possible. If needed, follow manufacturer's warranty advice on how to remove residual stain. 3. Follow your carpet manufacturer's advice on professional carpet cleaning. You may be tempted to clean it yourself with a personal carpet cleaning machine, but nothing can do the job as well as a professional. In fact, some warranties require regular, professional carpet cleaning. Learn more carpet care tips in our video series or free Carpet Care Guide.